For almost 400 years, Château Rauzan-Ségla, a Second Great Classified Growth of 1855, reigns over the lands of the prestigious Margaux appellation located on the Left Bank of the Bordeaux region. Château Rauzan-Ségla has risen to the top of the wines of its appellation due to the restructuring of its vineyard, the modernization of its winery and cellar, and the owners’ careful attention to details. As the proverb says, great terroirs face the water, and this is true for Château Rauzan-Ségla since it is next to the Gironde. A true mosaic of terroirs, the Château Rauzan-Ségla vineyard benefits from an exceptional location. The river plays a role in influencing the weather and it is also the origin of the renowned Garrone gravel that is deposited along the banks. This gravel captures heat from the sun during the day and then uses it to keep the soils warm at night, which helps the vine ripen its berries. In addition to the deep gravel, the Rauzan-Ségla vineyard has fine gravel ridges and clay-limestone soil. These poor soils are perfect for growing the typical Médoc grape varieties. The symbolic Left Bank black grape variety, Cabernet Sauvignon, represents the majority of the vines with Merlot, Petit Verdot and Cabernet Franc making up the rest. 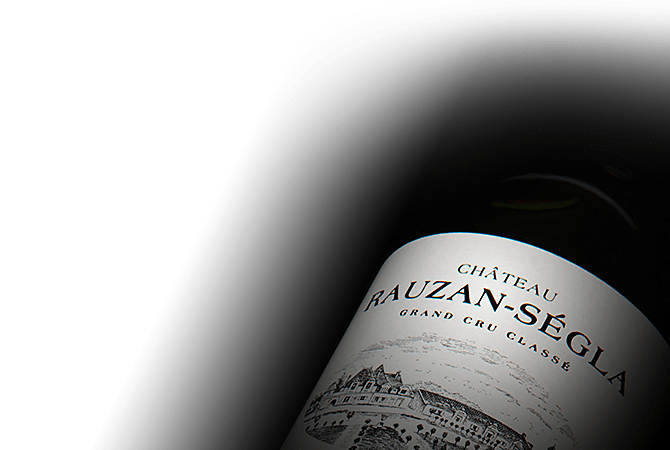 An excellent terroir for exceptional wines, Château Rauzan-Ségla wines are a model of the Margaux appellation. Bringing together power and finesse, they express the purest form of the terroir. Château Rauzan-Ségla wines are complex and intense. They reveal a magnificent bouquet revealing fresh red berry perfumes and delicate floral violet notes. The palate offers a smooth mouthfeel with a silky texture framed with the well-structured tannins from Cabernet Sauvignon. A true symbol of Margaux.